Tonifies spleen and stomach, regulates qi, resolves stomach phlegm, promotes digestion. Use for chronically poor digestion with abdominal bloating and pain, erratic or pasty stools. Also useful for inability to gain or maintain weight. Helps promote spleen healthy, eliminate the bloating discomfort feeling and maintain body’s digestive system. Tonifies spleen and stomach, regulates qi, resolves stomach phlegm, promotes digestion. 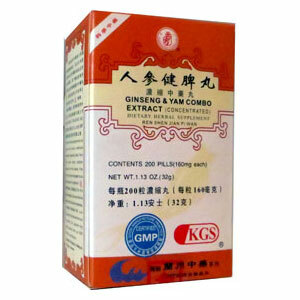 Use for chronically poor digestion with abdominal bloating and pain, erratic or pasty stools. Also useful for inability to gain or maintain weight. Take 8 pills, 3 times a day with warm water.